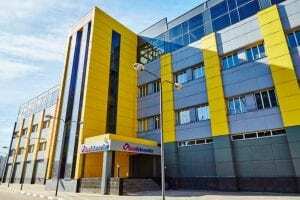 Nov 8, 2018 - EdgeConneX (edgeconnex.com), a company specializing in global data center solutions at the edge of the network, has acquired Linxdatacenter's facility in Warsaw, Poland. Headquartered in Amsterdam, the Netherlands, Linxdatacenter is a global provider of "high-end" colocation, cloud and connectivity solutions for businesses. Linxdatacenter operates its data centers since 2001 and runs businesses in Central and Eastern Europe, Russia, Asia and the Nordics. Mar 30, 2019 - Cloud Platform Russia-based Linxdatacenter Now Certified by SAP - Linxdatacenter, an international provider of colocation, cloud and connectivity solutions, with data centers located in Moscow (linxdatacenter.com) and St. Petersburg, Russia as well as a partner facility in Warsaw, Poland, has announced that its cloud and infrastructure solutions have now been certified by SAP. As part of its strategic development as a cloud solutions provider, Linxdatacenter has passed the audit for meeting requirement of SAP, one of the leading enterprise IT companies worldwide.